Very happy to announce the new LithoFusion collection is now available as a beautifully printed, perfect bound photo book. This collection began as an experiment to see if constraining the process with self-imposed guidelines would both stimulate creativity and result in a subtle cohesion. 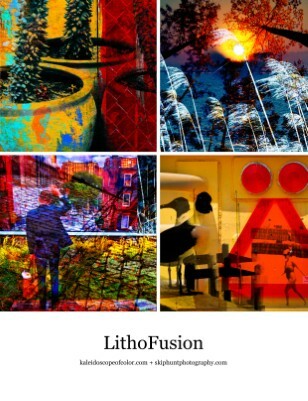 A new collection of image compositions based on complex blends I call "LithoFusion". An experiment to see if a subtle cohesion could be achieved by using certain self-imposed parameters and guidelines.